It’s funny how some plants mean more to me than others. Often these are among the first plants I bought. Acer palmatum dissectum ‘Orangeola’ was, I think, the first expensive plant I ordered online. It was certainly the first tree I bought online. 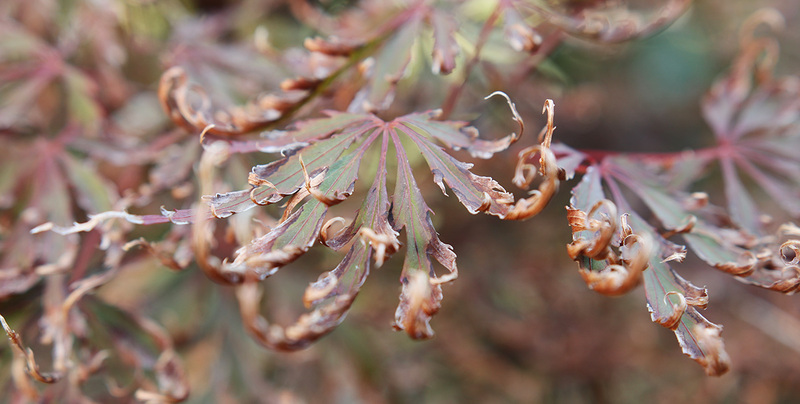 I say online, but I think I actually placed the order on the phone, after spending the better part of an hour talking with the Japanese maple specialist nursery about placement and care and begging him to chose one with a high graft. I planted it in a place of prominence, right next to the patio off the back door and it rewarded me with great new growth. 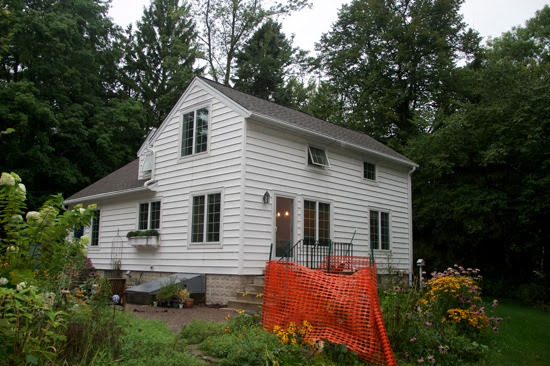 When we did a major (like take the top of the house off and put it back on) renovation, I put a snowfence around it and let the contractor know that there would be hell to pay if anything happened to it. And it made it. When we renovated the house, ‘Orangeola’ got its own snow fence to protect it. If you look closely, you can see that it made it through the construction and the renovation of the garden that came afterwards. But over the past few years, my beloved ‘Orangeola’ has gotten smaller each year. It should look more like a draping shrub that turns fiery orange in fall. But its purplish leaves burn now burn to a crisp and it rarely gets much color on it. Every year I cut out more and more dead branches. Not too long ago it looked happy in its home. But it looks much worse now. Changes to our landscape over the years are probably to blame. A lot of trees have gone since ‘Orangeola’ was planted, and particularly trees to the west, so it gets a heavy dose of late afternoon sun in summer. 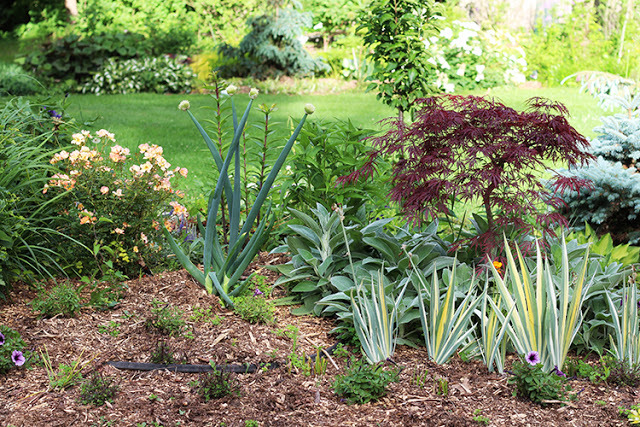 Although Japanese maples can take more sun here in zone 5b than they can in warmer places, hot afternoon sun is not something any of them like. The heavily dissected leaves are crispy from too much sun exposure. I’ve been watching it closely this summer and it is not bouncing back. So I made a drastic decision to dig it up and put it in a container where I can dial in the best location for it and baby it a little. 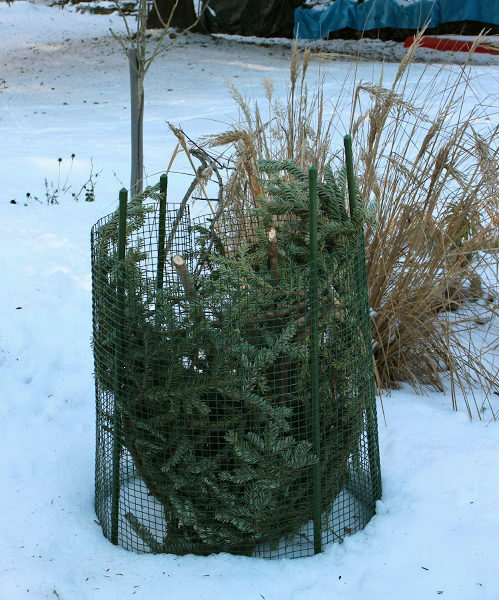 Moving a tree, even a very small one, that has been planted for upwards of 10 years is risky, but given its condition, I think it was equally as risky to leave it in the ground for another winter. 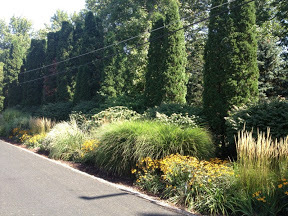 Some garden projects require a dose of courage and I’ve been gearing up to this one for several weeks. But time is running out to move plants and give them enough time to settle in before winter so last weekend I just took a deep breath and went for it. I dug it up carefully, starting quite far out from the trunk to get a good root ball, but it quickly became clear that I didn’t need to be out that far. Interestingly when I dug it up there weren’t a lot of roots, but there was one large root that went quite deep. This goes against what I’ve come to know about Japanese maples, which is that they usually have relatively shallow roots (this is why many do well in containers). There were fewer roots than I expected to see. 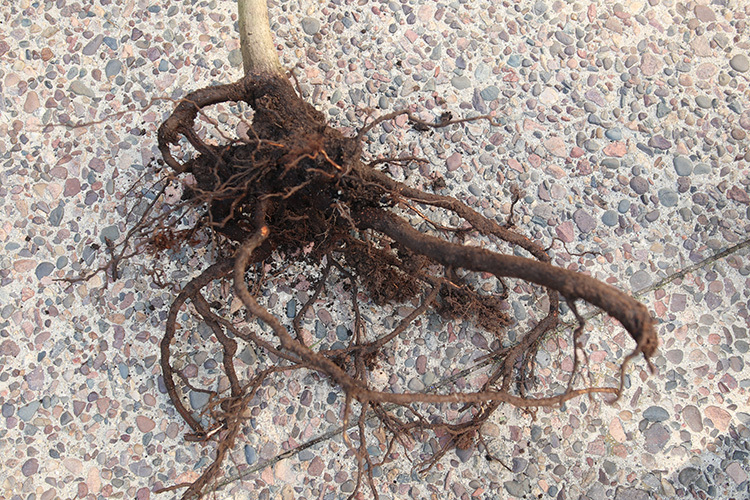 Of course I had to trim that root to fit in the container, but the lack of other roots was a little alarming to me. That may be more of what’s behind this tree’s decline than the changing sun exposure. I didn’t want to buy a new container for this tree yet (perhaps I will in the future if it thrives in its new home), so I reused the 18-inch pot I used for this project. I used a combination of Happy Frog potting mix and homemade compost (which has a lot of leaf mold in it) to plant it in and mulched it well on top. 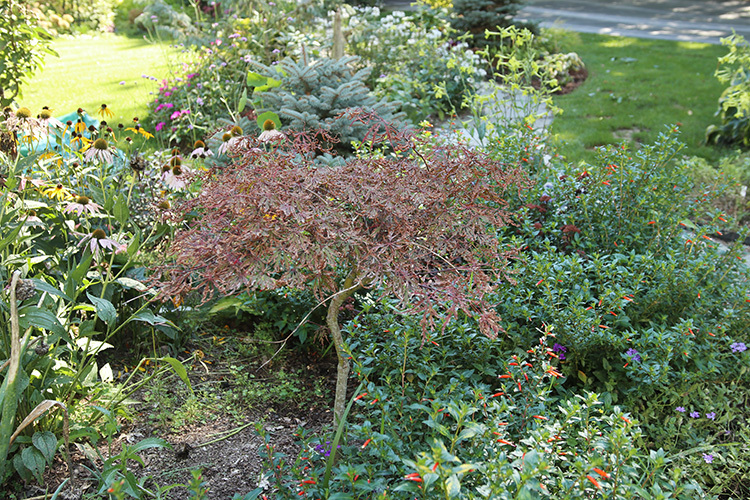 Japanese maples like good drainage but it’s a tree so it obviously needs more nourishment than just potting mix can provide. 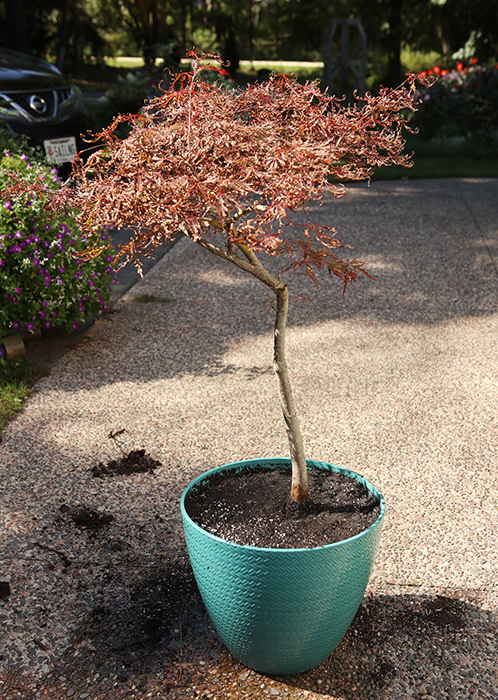 Here it is, all potted up, a little off center (which I think is perfectly acceptable for a Japanese maple) and will be moved to a location protected from harsh afternoon sun. It was amazing to me how much bigger it looked once I got it in the pot, and it’s not entirely a great look, to be honest. But it would look much nicer with a bit of new growth on it. For now it’s in a part sun location, shielded from harsh afternoon sun, and I’ll keep it moist until we get a hard freeze, when it will join the rest of the plants that overwinter in the garage (read about how I do that here). I’ll be honest, this is a crapshoot. I will do my best to keep this special tree happy and hope I can pull it through this stressful time. On the other hand, the good news is that that primo real estate just opened up for another very special plant. It will be fun to research that this winter. Have you grown Japanese maples in containers or ever gone to an extreme to make a last-ditch effort to save a special plant? And am I the only one who has “special” plants? You are by no means the only person with special plants. We are babying an Ash tree that is quite old. Now that sounds futile but we aren’t giving up without a fight. It is an old friend and shades the patio and house from afternoon sun. I have tried keeping lots of plants in the sick ward. Sometimes it works and sometimes it doesn’t. I wish you the best of luck with your tree. It sure didn’t have a very good root system did it? Good luck anyway. I have a couple of Japanese Maples in pots that look bad, and I am thinking hard about planting them in the ground yet this fall (very soon!). For me the special plant was the Acer griseum I bought before I even bought my house. It was in a pot quite a while before I could plant it. But it did well and is about 10 ft today. 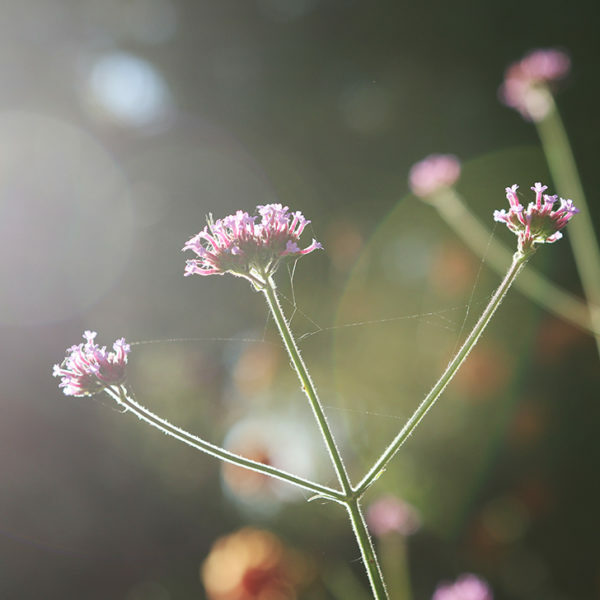 We can’t but help having those special plants! Oh yes I do have plants I try to baby, but for the most part go for easy care. I wonder about sun being the cause of your problem. Of course different varieties would have different requirements, but my japanese maple is in total sun and I am in Alabama zone 7B. It is quite healthy and huge and never has burnt looking leaves. I don’t know what variety it is though because it was here before we purchased the house. Maybe mine is a special variety for the south. Anyway, good luck! It looks cute in the pot. I hope she survives. I’ve had miserable luck with Orangeola. I think yours looks quite good in the pot. Think about Heuchera or painted ferns or something to put at the bottom of the trunk in the spring. 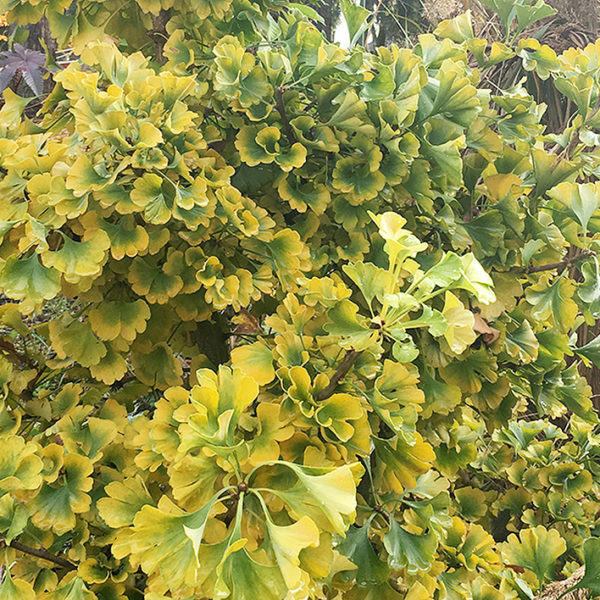 I am thinking next spring I will dig out my 10+ years old dwarf Ginkgo which is growing across a path. Should have been planted in the opposite direction but I can’t tell these things with baby plants. I figure it will root prune it and show down its growth. When we purchased our down-sized home 6 years ago there was a beautiful 6 foot plus disectum Japanese maple right in front of the DR window….couldn’t see a thing out that window but the maple. After perusing the situation for months (we moved in during April), I contacted a tree move specialist about moving the tree. He wanted $1000 and would NOT guarantee the tree would live. I decided I would save $1000 and give it my best shot. I selected a new home for the maple, my husband used his new tractor to dig the planting hole ( much too big), and one Saturday afternoon in late October in our zone 6b northern Virginia area hubby and a friend spent hours attempting to dig it up. Not going to happen without big machinery. So…..we enlisted our neighbor with a backhoe to assist. Happened pretty fast after that. Had to use the front bucket on the tractor to move that rootball. I watered very well for months after….and it lived. We were all shocked! It’s done well for 5 years with only minimal lower branch loss and now has room to really be a show stopper. Good luck. I hope your first baby rewards you with a wonderful surprise. I ordered a Floating Cloud Japanese maple last year and it spent the winter in a pot in the garage. Next summer I plan to test a permanent location while it is still in the pot. It’s quite possible it will spend another winter or two in the garage before it finds a permanent place in the garden. I have several pots of perennials that winter in the attached but unheated garage. Some are plants in need of TLC that have been given to me my friends. 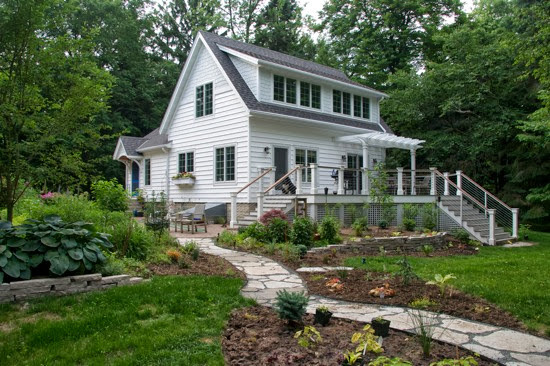 Others are plants that are happier or safer in pots than in the garden. It always makes me smile when I drive into the garage in February and I’m greeted by the Hellebore flowers. I totally understand how you feel Erin. I also have ‘favourites’ among my garden plants. I sure hope your Orangeola recovers. Have a nice weekend!